Lo Soto rural house is located in Orihuela, south of the province of Alicante and in full Vega Baja del Segura river. It is a garden house surrounded by lemon and orange trees, and a lush garden with a variety of plants, palm trees and other tree species, in the middle of a natural setting that provide a Mediterranean charm and flavor. Casa Rural Lo Soto is a house where you can enjoy pleasant temperatures all year round. Just 20 km from the sea, it is undoubtedly a magnificent environment to enjoy. 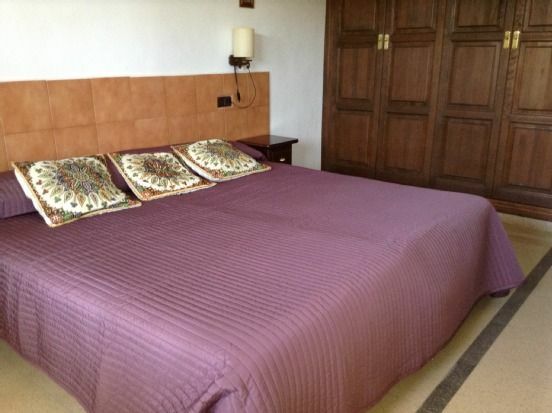 - Lo Soto is an independent, non-shared house that offers: - Four fully equipped double rooms, one of them King-Size bed. It also has 3 places in an extra bed. - Three full bathrooms and an outside toilet. - Large and cozy lounge with TV. - Kitchen equipped with ceramic hob, fridge, oven, washing machine, dishwasher, etc. and complete kitchenware. - Central heating and A / C in rooms. - Yard. - It has a large porch, facing east, pool and barbecue corner.